Wejhaty App.. Your guide to download before you travel! Nissan launches FREE LIFETIME SERVICE on all models! The New Rage in Compact Pick-Ups! Almoayyed Motors has recently launched the new 2016 Ford Ranger that is set to establish new benchmarks in the light commercial vehicle segment with an uncompromised blend of robust capability, craftsmanship and advanced technology. This refreshed version of the compact pickup is now available at Almoayyed Motors, Ford’s importer-dealer in Bahrain. The revamped FordRanger model takes pick-up as well as camping transport to a different level of finesse with its tougher and smarter built with a powerful presence on the road with its bolder and more sophisticated appearance. The upmarket interior boasts of unrivalled style, exceptional craftsmanship and improved functionality. Advanced features introduced as segment-firsts, including SYNC®2, Front and Rear Park Assist. Besides these, the latest-generation DuratorqTDCi engines and new Electric Power Assisted Steering make the new Ranger quieter, up to 22 percent more fuel-efficient and even more capable than before. This promises an improved ride comfort and Ford’s fun-to-drive promise with higher levels of refinement. The vehicle’s refreshed line-up features include: Single Cab, RapCab and Double Cab. “The current Ranger is one of the toughest, most capable pickups out there, and this is reflected in the exceptional sales of the Ranger to date,” says Thierry Sabbagh, Managing Director at Ford Middle East. The new Ranger continues to be produced at Ford’s Silverton Assembly Plant in Pretoriaand exported to 148 markets in the Middle East, Africa and Europe. The DuratorqTDCi engines are manufactured at the Struandale Engine Plant in Port Elizabeth. The changes to the new Ranger begin with an updated exterior design. A bold, more modern look lends new Ranger a powerful presence on the road, and immediately conveys a sense of capability. 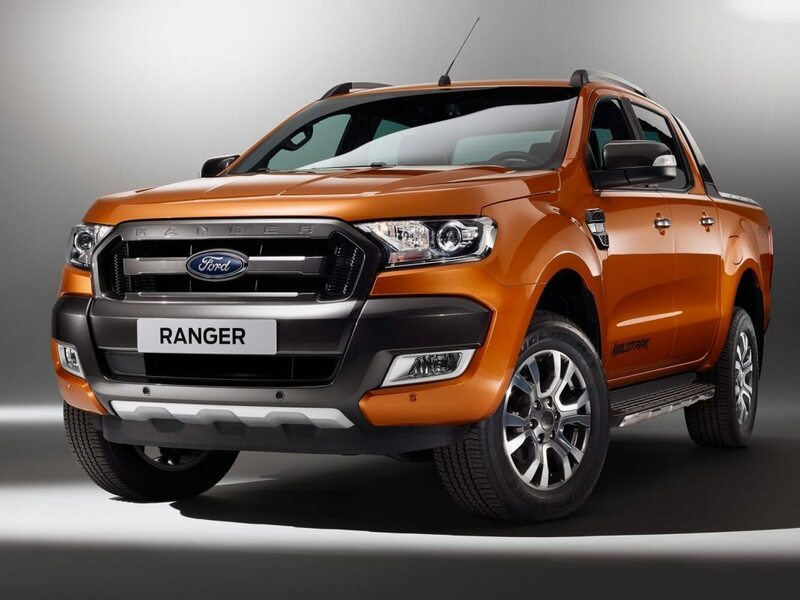 A more muscular hood flows into a strong new trapezoidal grille, which connects seamlessly with the chiselled projector headlamps, accentuating the new Ranger’s width and strong stance. With a robust electronically controlled transfer case that allows drivers in 4×4 models to shift on the fly from 4×2 to 4×4 high via a knob on the centre console, the New Rord Ranger 2016 is a new and unbeatable incention when it comes to capability and refinement.